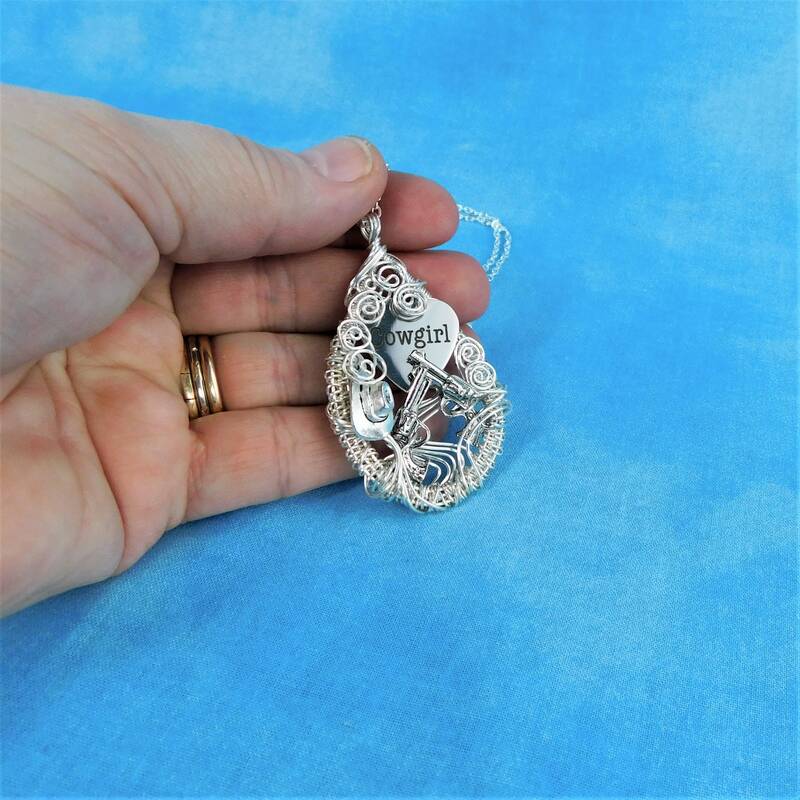 A hand woven silver wire oval frames a cowboy hat and a pair of guns, to create an unusual pendant with a western flavor. 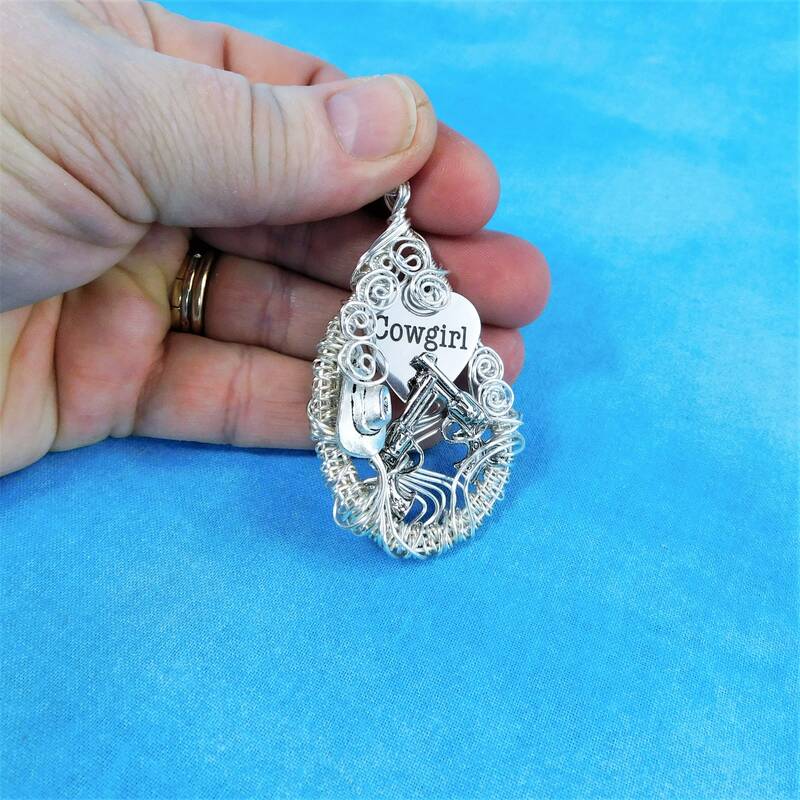 There is a custom engraved stainless steel charm that indicates this special jewelry piece was created especially for a "Cowgirl". 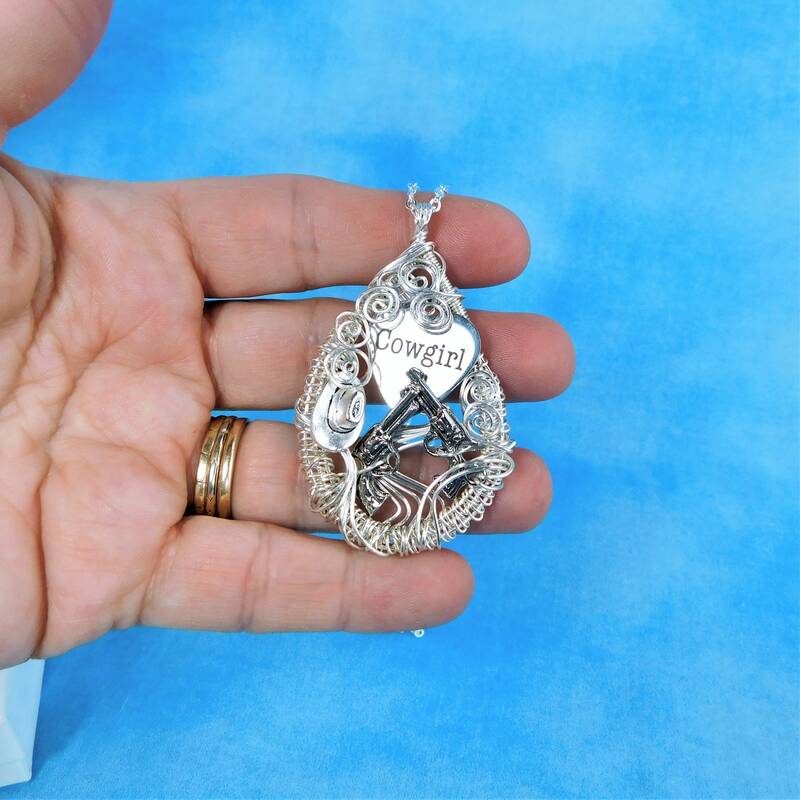 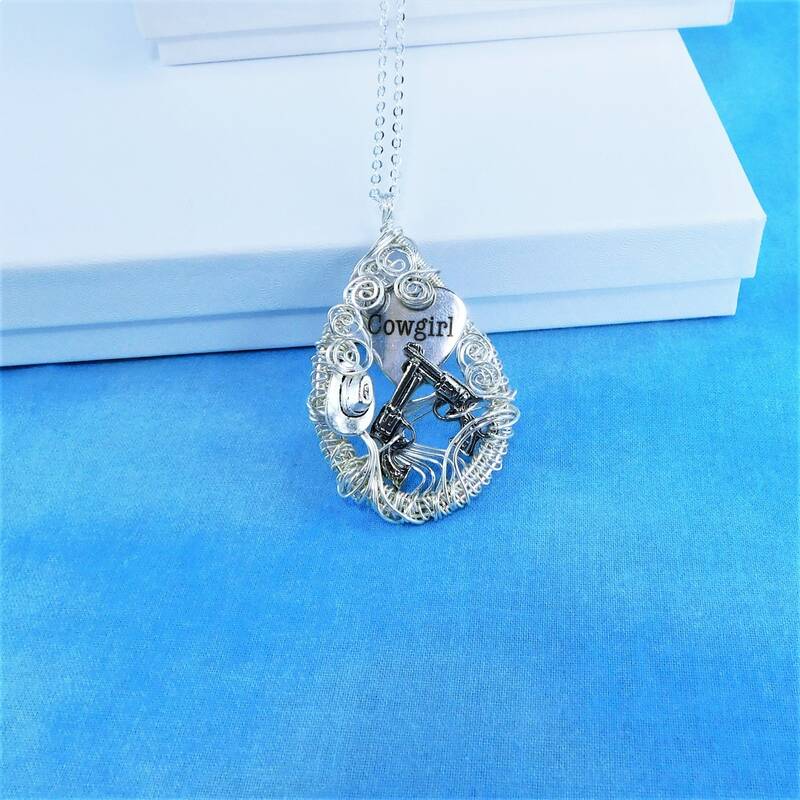 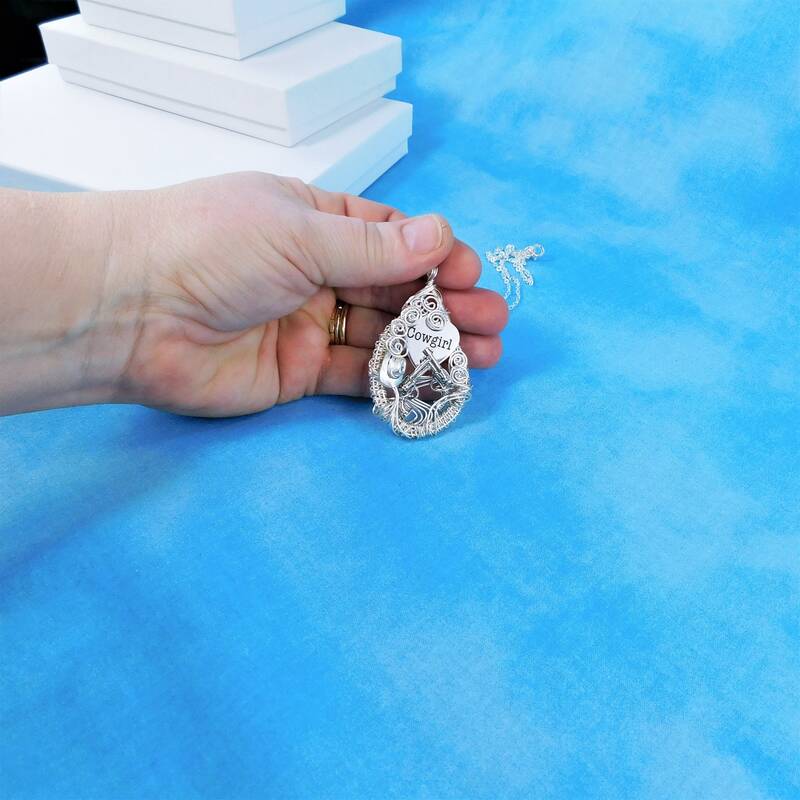 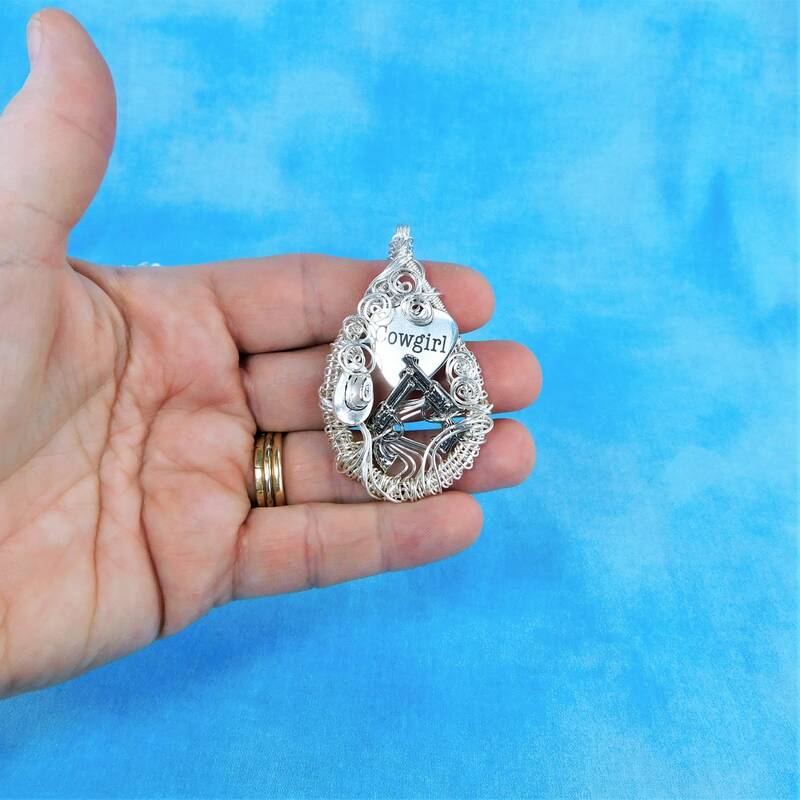 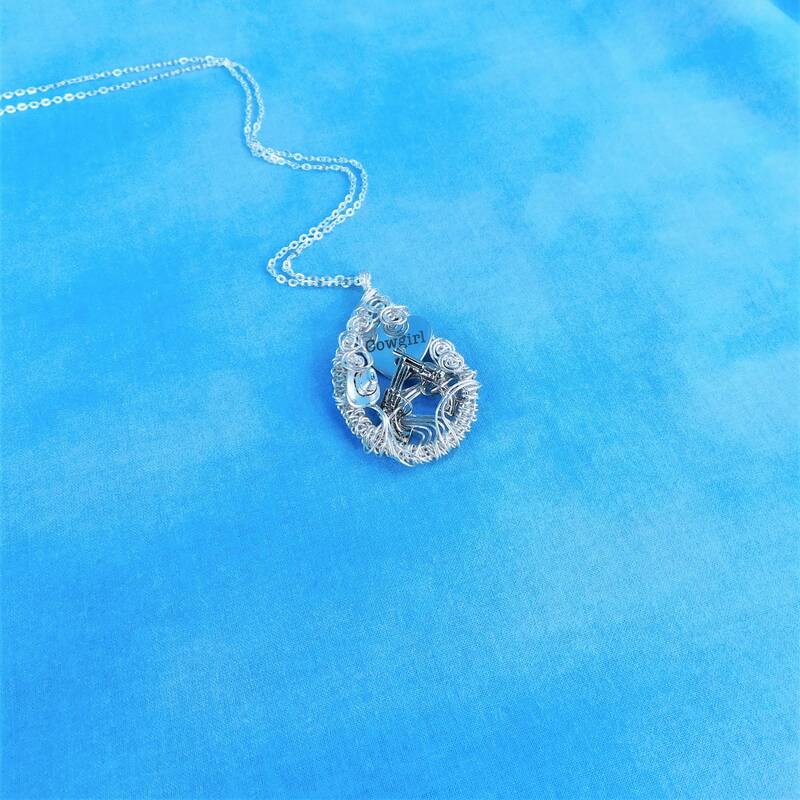 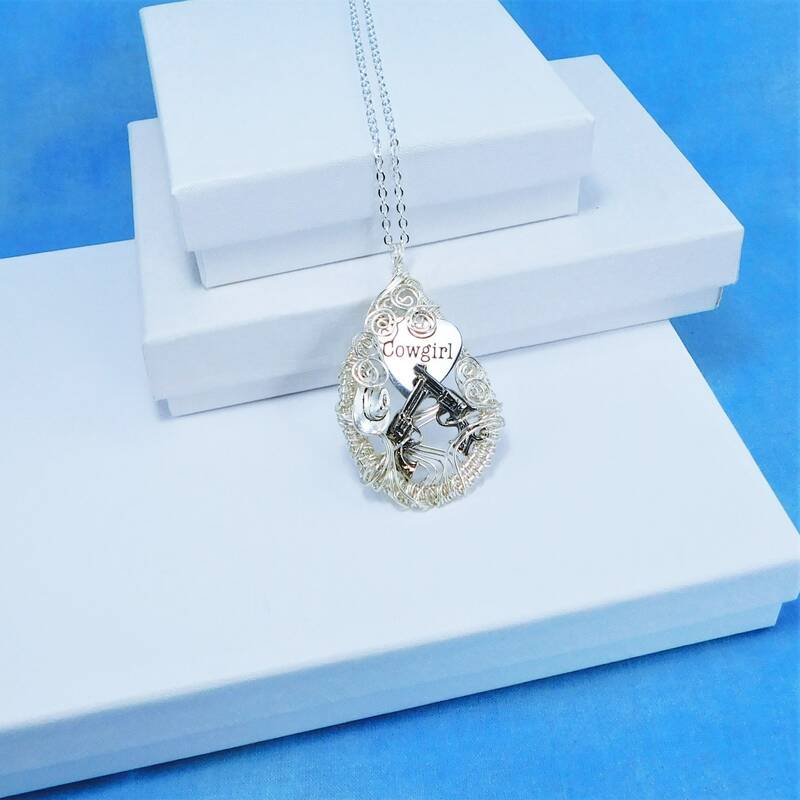 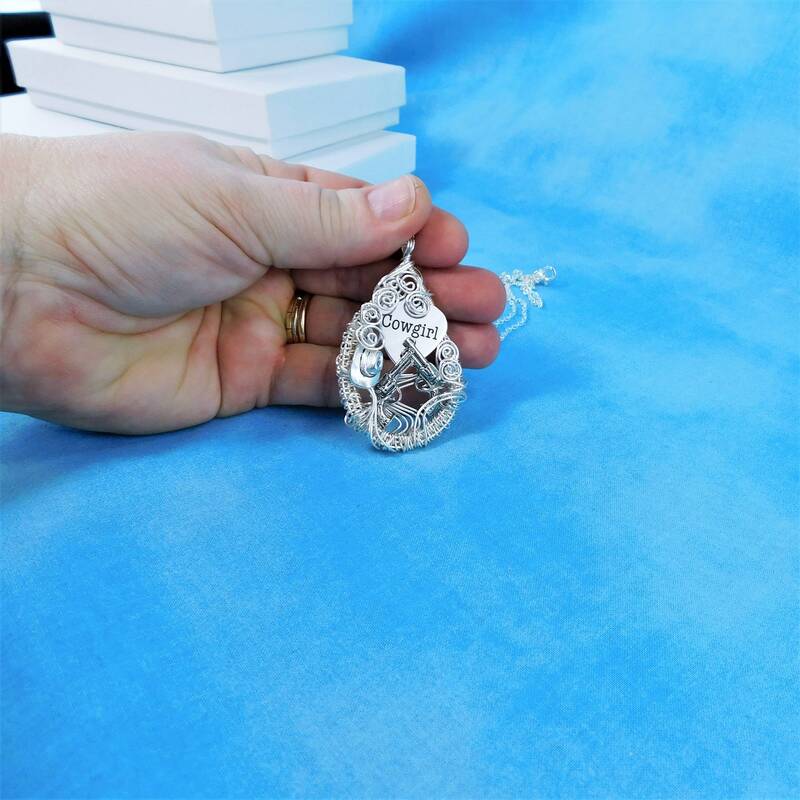 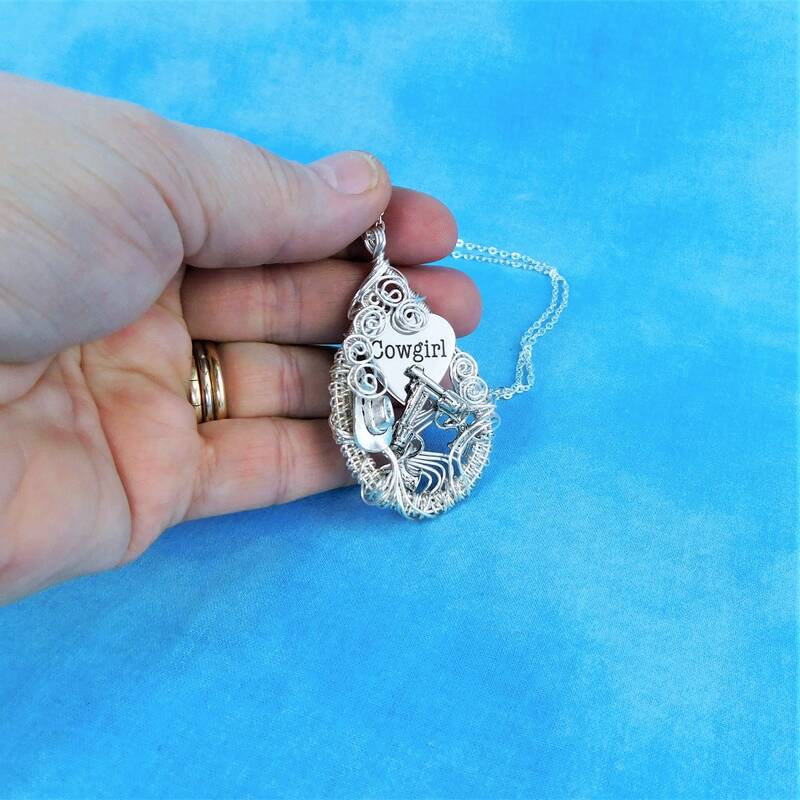 The pendant measures 2 inches long by 1 1/4 inches wide and comes with a FREE coordinating chain with lobster claw clasp.